Jackson Riley: best. photo. ever. 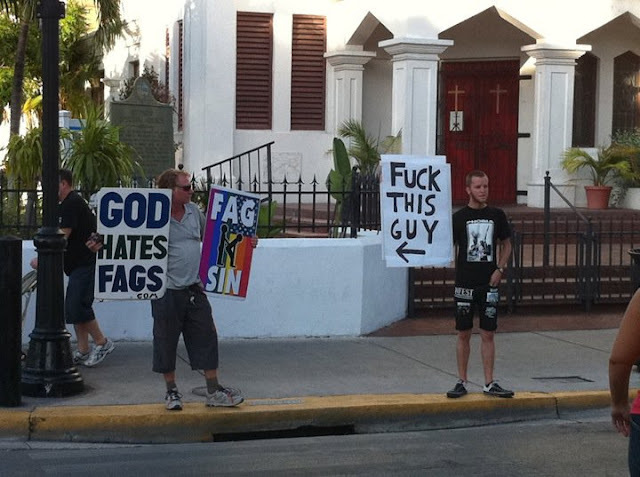 I could never understand why people would want to stand on a side-walk with banners declaring that 'God Hates Fags' and the such. Great to see the other chap's reply banner. Ugh, Fred Phelps and his clan are the most despicable people to walk the earth.